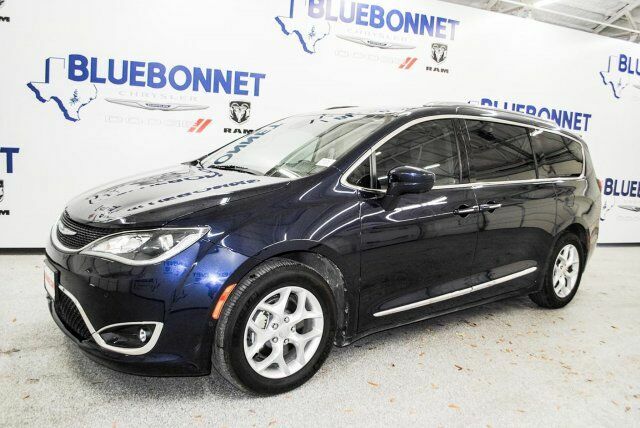 Rule the roads in style & luxury in this jazz blue pearl 2017 Certified Chrysler Pacifica Touring-L Plus minivan! This vehicle is a game changer. With it's rectangular shape body & sedan like agility, your drive will feel effortless as you haul this vehicle around town. This minivan is loaded with a durable gray leather interior, a push start, MP3, Sirius XM radio, an oversized touchscreen featuring a ParkView camera, Navigation, & Bluetooth handsfree calling, a spacious 3rd row seat, rear air conditioner, & so much more. It's powered by a 3.6 L V6 engine for safely hauling the whole family around. If you have any questions about this amazing find or any of our other vehicles, please call our sales office. Thank you for your interest & we look forward to hearing from you.